Below are some recent examples of website designs completed for clients. 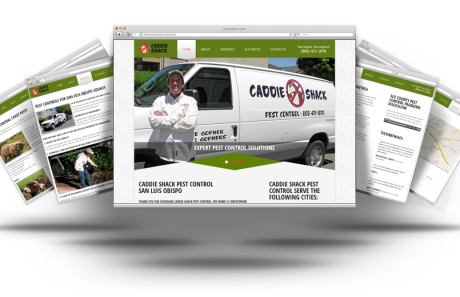 Thank you for choosing Caddie Shack Pest Control. My name is Christopher Chilton, and I will be more than happy to solve your Central Coast pest problems. It is my goal to provide you with the safest and. Premier landscaping company servicing the San Luis Obispo County area. 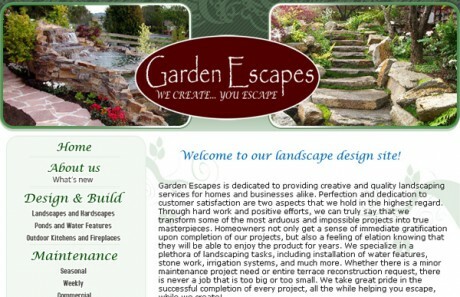 Garden Escapes specializes in the installation of water features, custom stone work, outdoor living spaces, and irrigation systems, and has built some of the most spectacular Outdoor Spaces.